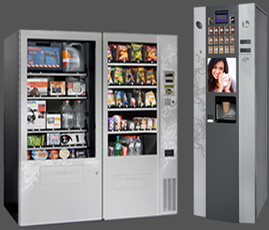 RoboCopy is a vending machine for printing, copy and scanning. It supports connection to USB devices and is operated with touch-screen monitor. Robocopy is equipped with user-friendly internet-monitoring system accessible from personal computer or mobile device. You can always keep yourself up to date about the latest statistics of each machine you own. Within one button click you can always find out how much paper and toner is left in printers, if there was a blackout, an error as well as daily and monthly income of each Robocopy.